Update: iTunes 11.2.1 resolves this problem, making the Users folder visible again while also turning the directory permissions back to normal. All Mac users should install iTunes 11.2.1, even if they only updated to iTunes 11.2 and did not update to OS X 10.9.3 yet. 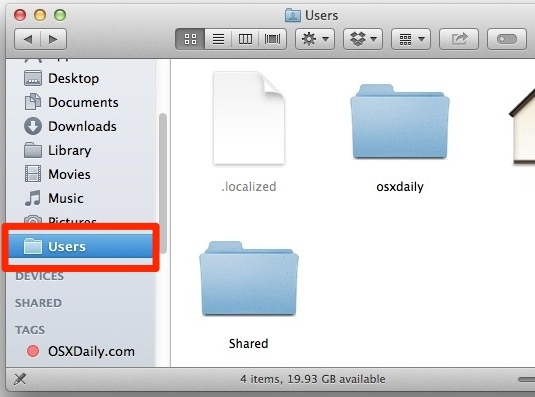 Some Mavericks users have noticed that updating to OS X 10.9.3 mysteriously hides their /Users directory (that is, the Users folder contained at the root Macintosh HD drive). 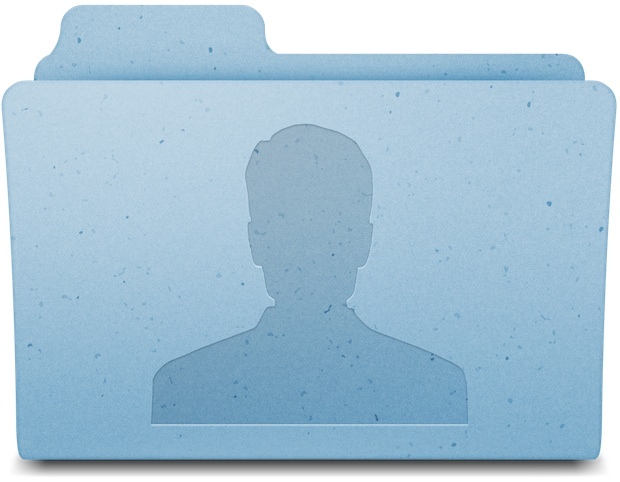 Other than being a nuisance when locating files, having the /Users directory hidden may cause problems when trying to import files into apps like iMovie, iPhoto, Aperture, Final Cut, and quite a few more. Due to the effects on various apps, the missing /Users folder is presumed to be a bug, though it may wind up being similar to how ~/Library is hidden by default now too. If you’re one of the individuals who has been bothered by the disappearing /Users folder after updating OS X, making it visible again is fairly simple. 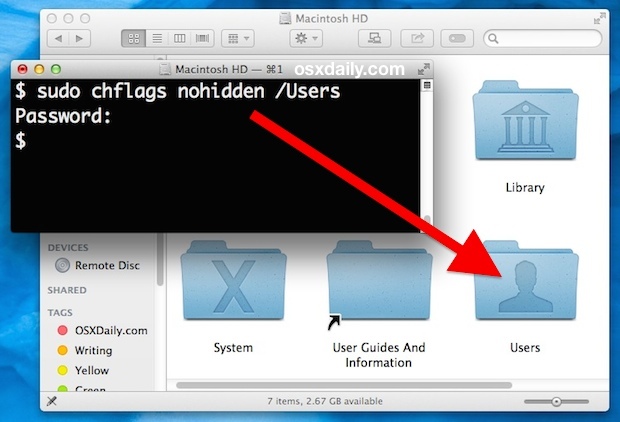 Note that if you already have all hidden files made visible in Mac OS X then you probably won’t need to do anything since the /Users directory will be accessible to you from the Finder and Open & Save windows through OS X, including apps. Unfortunately, the /Users directory will automatically hide itself upon reboot. While you can create a script to execute the above command every time the Mac restarts, cluttering up login and launch items isn’t really a good idea, so a better solution may be to use a workaround for making /Users always visible. While putting /Users into the Finder sidebar works to access the folder from the Finder, it doesn’t help users who are trying to access the folder from an app like iMovie or Final Cut, thus the chflags command may be the best measure for the time being. The cause of this is not entirely clear, particularly since it’s seemingly random and not effecting everyone, though there is some speculation it’s a bug caused by OS X 10.9.3 or even as MacObserver suggests it may be due to iTunes 11.2. On the other hand, it’s certainly possible that /Users will likely become continuously hidden, similar to how the ~/Library folder is routinely hidden by default now. We’ll likely find out for sure in the near future as OS X 10.10 gets released to developers. Mine was like this. Thanks! works fine in the same session but after you reboot, the folder is hidden again. so this solution is not permanent. I have never had the actual “Users” file displayed in my Finder Sidebar but rather my Home folder, User name . It has always been this way by default. My Users folder did not disappear from the Macintosh HD folder but it does contain My Home folder and one named “Shared”. Is it the norm to have “Users” shown in the Sidebar list or just a workaround? Whenever I want to go to the Users folder, I go to any Finder window and Command Click on the window title which displays the depth of where you are. Within that is the Users folder. I have not upgraded to 10.9.3 but, I would think this works in the new upgrade also. It’s a bug arising from the interaction of iTunes 11.2 with “Find my Mac”. I’ve never enabled Find My Mac or any cloudy thing, since my iMac doesn’t travel from its current location, and have not experienced this problem. However, the steps Kevin posted in the https://discussions.apple.com/thread/6224713 thread appear to work for those who have had the problem. As best can be determined, it’s an issue with iTunes 11.2 and Find My Mac. Indeed, and the permissions issue is potentially much more serious than simply having /Users turn hidden. Apple will likely push an update for this sooner than later (we hope).